Updates: Slow and irregular. Probably about a page or two per month, on loose average. Content Advisory: Some PG-13-level gangster violence, one or two “S.O.B.’s”, and gratuitous bootlegging. Genre: Period gangster adventure/comedy/drama. Basically historical fiction, except that all the characters happen to be drawn as cats. This is only because Tracy Butler thought she could draw them more expressively than humans when she started the story. Not that she can’t draw humans incredibly well. Synopsis: Set in St. Louis, MO during the 1920s, the owner and employees of the friendly speakeasy Lackadaisy struggle to keep their establishment afloat against the Prohibition, deadly rival gangsters, and their own weak business sense. Reason for Beginning: I like that time period and the art captured my attention immediately. Reason for Still-Reading: The characters and artwork, mainly. Beautiful, really beautiful artwork (it dramatically improves from the beginning pages). Fleshed-out, interesting characters. Perfect, memorable dialogue. And a plot that is developing very naturally, without shortcuts and clichés. Re-readability: High. In fact, I frequently revisit pages at random for the sheer fun of it. The artwork is packed with fun little details and is astonishingly historically accurate, as well as just being plain good to look at. The dialogue is witty and pairs well with the art, so that the comedy is genuinely funny and the characters come to life. I would eagerly read anything written or drawn by Tracy Butler, such is the appeal of her art and stories. 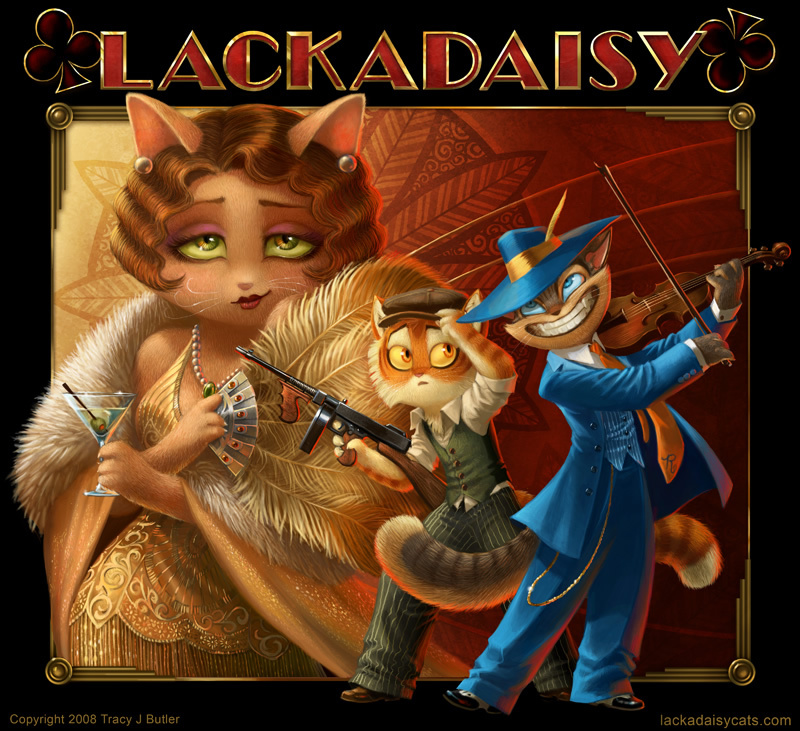 I think Lackadaisy is the only webcomic she has going on right now, though she used to draw great fantasy pictures for a story of her own on this site, which is currently defunct.